Expedia can help you save loads with Necker Island travel packages. With all that extra cash in the bank, you might even like to book a few additional nights. Smart vacationers who grab a package deal on Expedia will save up to C$590*. Our impressive global database allows you to search more than 321,000 properties worldwide and 400 partner airlines. With such a broad range of options, planning your dream vacation will be a breeze! If you change your travel plans, we will honor your cancellation request on almost all reservations with no hidden fees. It can be quite nice to just wander the streets when you're somewhere new, but sometimes it's a good idea to have an agenda. Grab your itinerary — we have plenty of fantastic ideas for your Necker Island vacation. Looking for something fun to do? If you haven't explored Bitter End Gardens before, now's your chance! This interesting sight is always a hit with visitors. From beautiful critters to bits of driftwood, there are all types of things to be found on a shoreline. Why go for a walk and see what you stumble upon at Savannah Beach? Adventurers are spoilt for choice in and around this destination. From colorful critters to gnarled old pieces of driftwood, there are all manner of interesting things washed up on a shoreline. Why not go for a wander and see what you can pick up at Nail Bay Beach? Still got some time on your hands? A picturesque meeting of land and sea, Oil Nut Bay Beach will relax and rejuvenate your spirit. Inquire into boat tours in you're interested in getting a better view of the bay. If you're seeking out luxury getaways or cheap vacations in Necker Island, make sure you book your accommodations in advance. There are only 7 Expedia properties available. 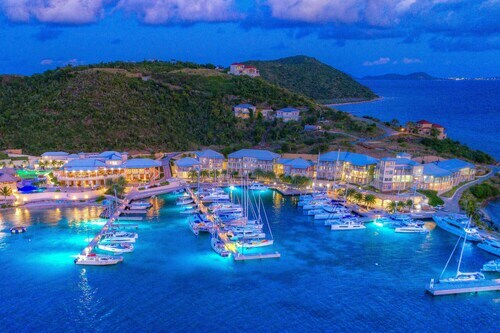 If you want to make life easier, why not try one of our favorites, such as the Bitter End Yacht Club (Virgin Gorda) or the Rosewood Little Dix Bay (Lee Road, Valley)? No one likes hanging around at the airport. But it's a small price to pay when you remember the incredible destination that awaits! Based 13 miles (21 km) southwest of Necker Island, Terrance B. Lettsome International Airport (EIS) is the most convenient terminal. Situated in Virgin Gorda, this property is close to Necker Island, Bitter End Gardens, and Oil Nut Bay Beach. Local attractions also include Leverick Bay Marina. 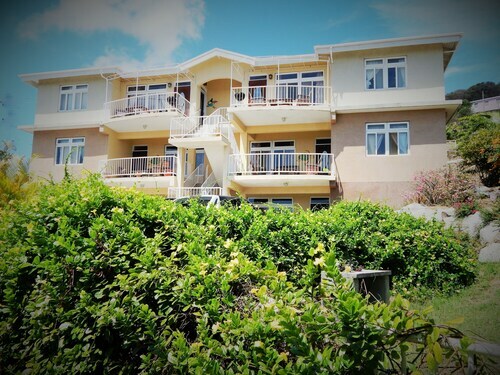 Situated in Road Town, this hotel is within 1 mi (2 km) of Government House and Tortola Cruise Ship Port. Virgin Islands Folk Museum and Road Town Methodist Church are also within 1 mi (2 km). 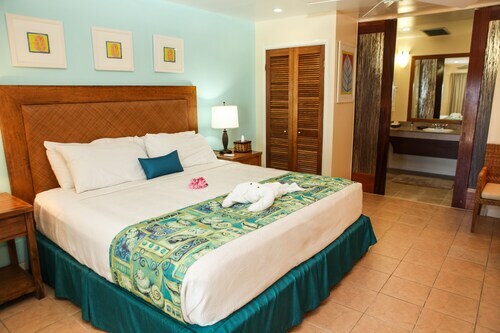 Situated in Road Town, this hotel is within a 10-minute walk of Virgin Islands Folk Museum and Tortola Cruise Ship Port. Trunk Bay Beach is 3 mi (4.8 km) away. This Scrub Island hotel is located by the ocean, nestled on the beach a short distance from Marina Cay Beach, Cam Bay Beach, and Lee Bay Beach. Local attractions also include Trellis Bay Beach and Long Bay Beach. Nestled on the beach, this Keel Point resort is 1.9 mi (3.1 km) from Cow Wreck Beach and 5.5 mi (8.9 km) from Loblolly Bay Beach. 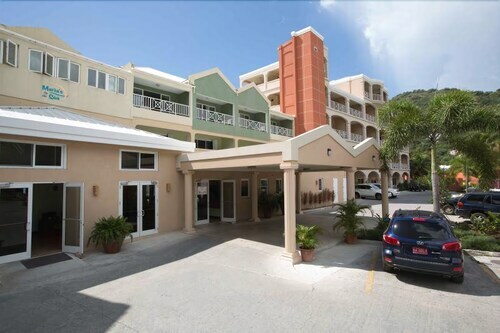 Nestled on the beach, this East End hotel is within 3 mi (5 km) of Josiah's Bay Beach, Long Bay Beach, and Well Bay Beach. Hodge's Creek Marina is 2.2 mi (3.5 km) away. 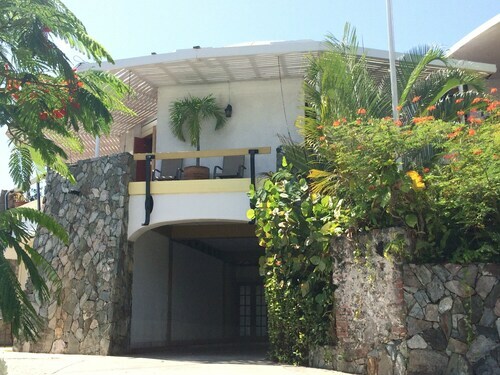 Located in the heart of Virgin Gorda, this condo building is within 1 mi (2 km) of Gorda Peak National Park, Virgin Gorda Peak, and Leverick Bay Marina. Mahoe Bay Beach and Savannah Beach are also within 3 mi (5 km). Nestled on the beach, this Setting Point hotel is 3 mi (4.8 km) from Cow Wreck Beach and 5.5 mi (8.9 km) from Loblolly Bay Beach. Tortola Cruise Ship Port and Virgin Islands Folk Museum are also within 32 mi (52 km). Thu., 28 Nov. - Mon., 16 Dec. Tue., 14 Jan. - Wed., 29 Jan.